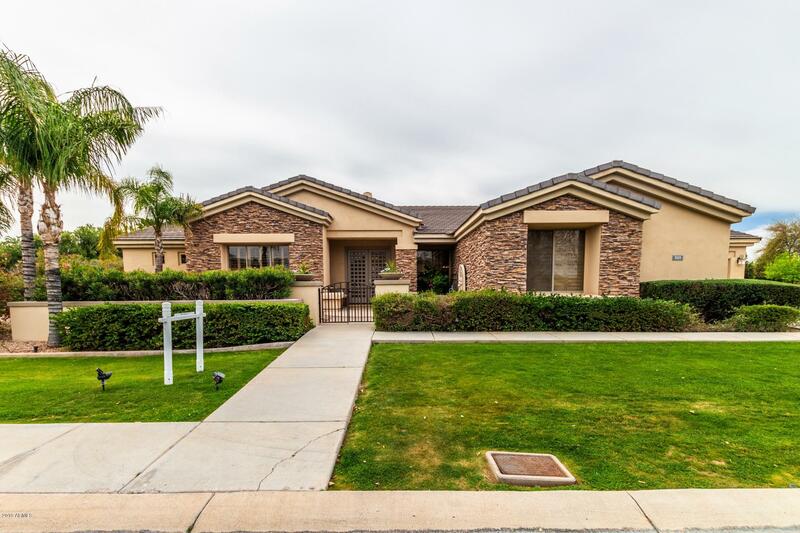 All HERMOSA GROVES NORTH homes currently listed for sale in Mesa as of 04/23/2019 are shown below. You can change the search criteria at any time by pressing the 'Change Search' button below. "This exquisite home was the original model for the community. Walk in to a beautiful tiled entry with formal living and dinning rooms on either side. Family room has built in entertainment center and a cozy fireplace. The eat-in kitchen has island /breakfast bar, high end SS appliances, recessed and pendent lighting, wall ovens, 6 burner gas cook top and walk-in pantry. Spacious master has private entry, sitting area, two-way fireplace. The en-suite has seperate double vanity, soaking tub, wal"